The Nook is tucked away at the bottom of Cuckoo Lane. This modest fronted detached home, has five, huge bedrooms, it`s steeped in history and said to be the oldest home in Prestwich. A substantially extended four bedroom home on Woodhill Drive, a great location, close to Bury New Road and a short drive to motorway links and close to Prestwich Village – not to mention a great location for schools and places of worship. A substantially extended four bedroom semi-detached home on Scholes Lane, Prestwich. This beautifully presented family home features a large extension which provides ample living space for a growing family. With a double driveway to the front and gorgeous gardens to the rear. A large four bedroom family home on Carlton Avenue, Prestwich. Positioned just off Brooklands Road, a desirable spot in close proximity to Heaton Park, Prestwich, Bowker Vale and the M60, great schools and places of worship within easy reach. A four bedroom townhouse in The Residences. The only townhouse within the development which has a completely open plan living space; the sitting room, kitchen and dining room flows beautifully across the first floor – a unique and modern living design. Bland Road is one of our favourite spots in Prestwich. 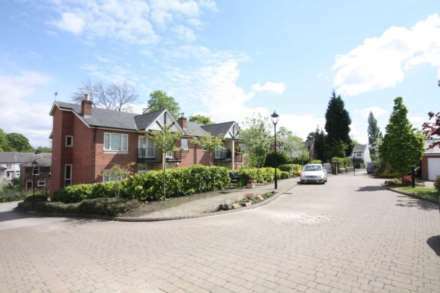 Lined with large family homes, positioned next to the golf course, a short walk into Prestwich Village, lined with independent bars, shops and eateries, not to mention- a fantastic selection of local schools. A beautifully presented three bedroom home on Woodhill Grove. An enviable address in Prestwich, being a short stroll into Prestwich Village, M60 and Manchester City Centre both within easy reach and surrounded by great schools and places of worship. Jennie Platt Estates presents, a newly built 3 bedroom home. Walled grounds and complete with a driveway, this detached home on Woodhill Drive, Prestwich has lots to offer and is in an unbeatable location. A generously extended three bedroom home on Overbrook Drive, Prestwich. In a much sought after location, just a short stroll into Prestwich Village, Heaton Park is close by and local places of worship and schools within walking distance.